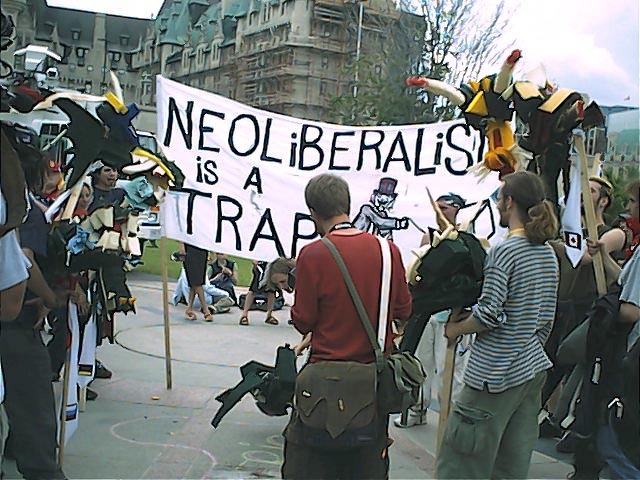 The leaders of the G8 - the executive board of global capitalism - have retreated to the hills of Kananaskis, Alberta on June 26 & 27. 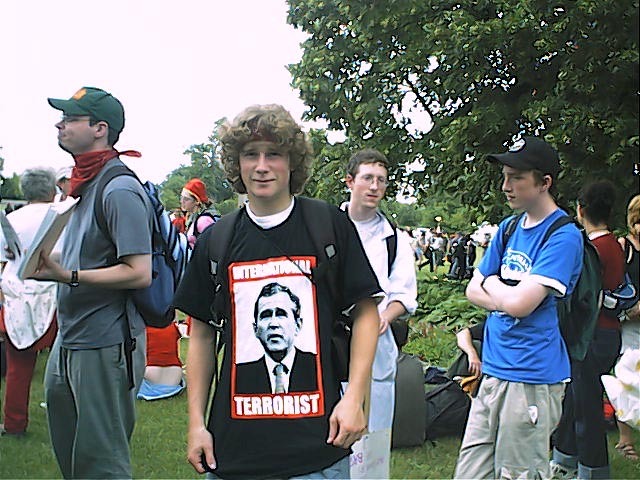 Surrounded by golf courses, pristine wilderness and thousands of soldiers, part of their declared agenda includes the so-called "War on Terrorism." 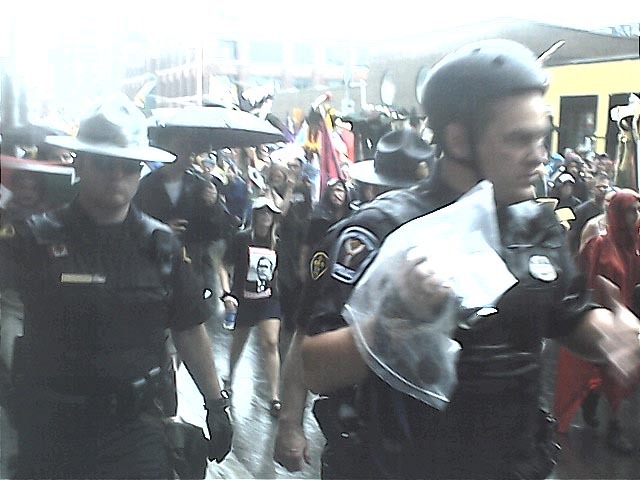 Despite constant rain and heavy police presence. 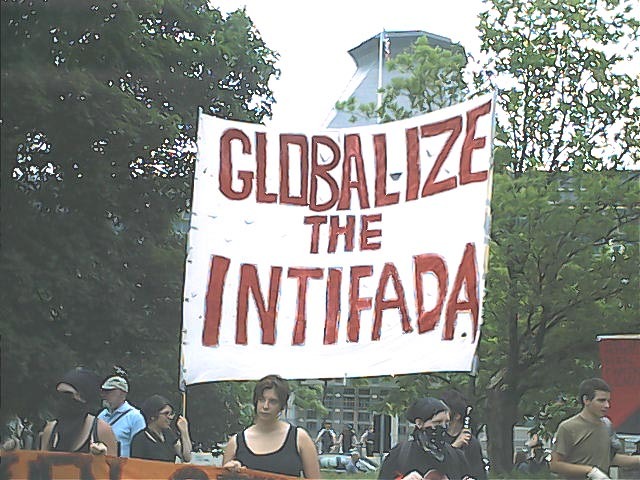 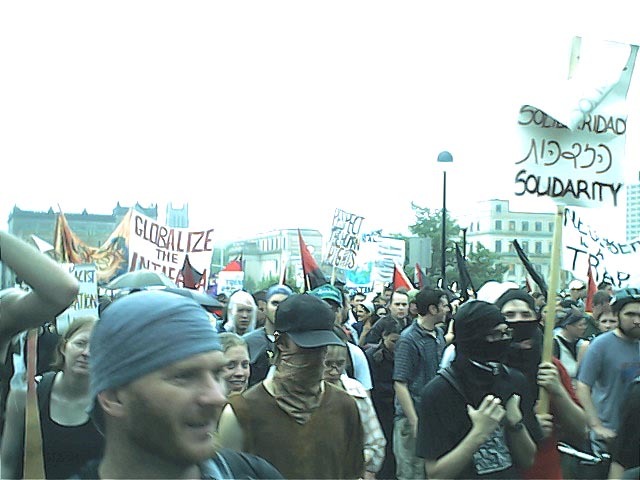 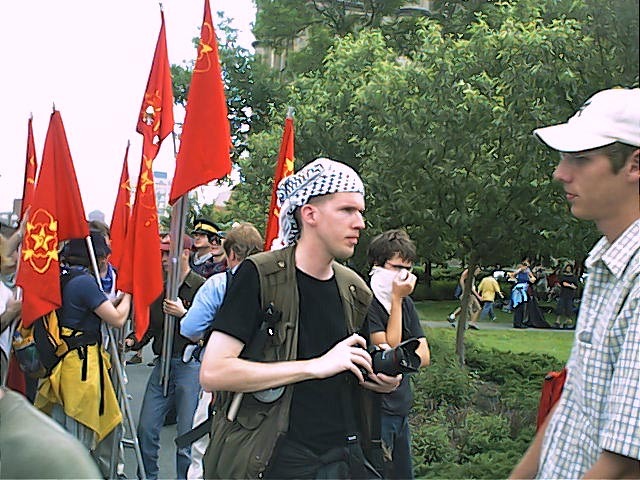 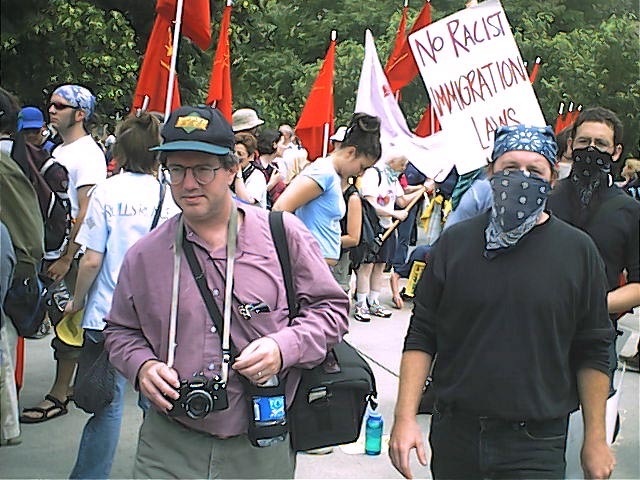 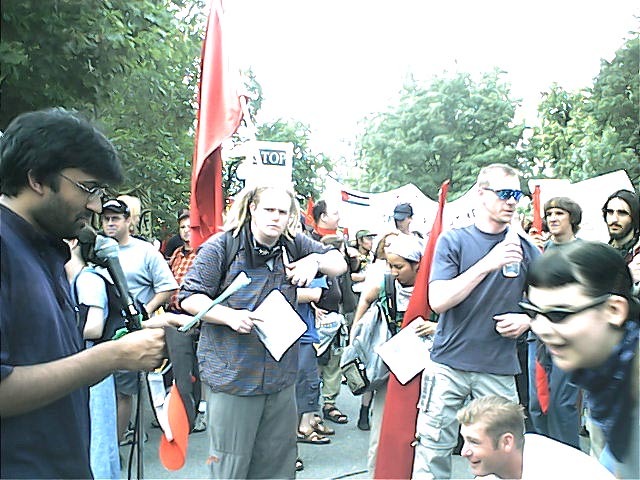 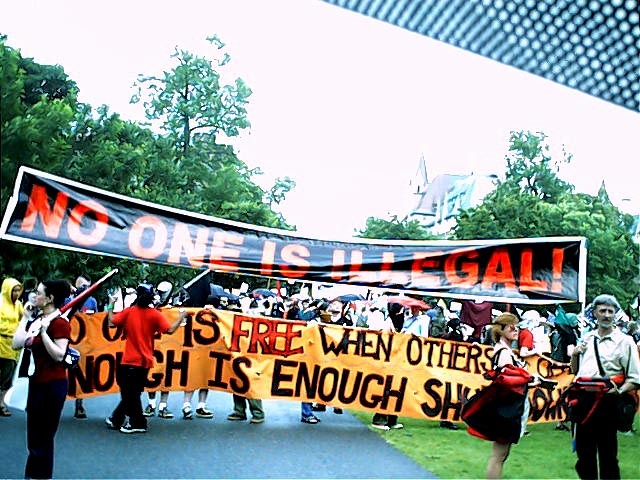 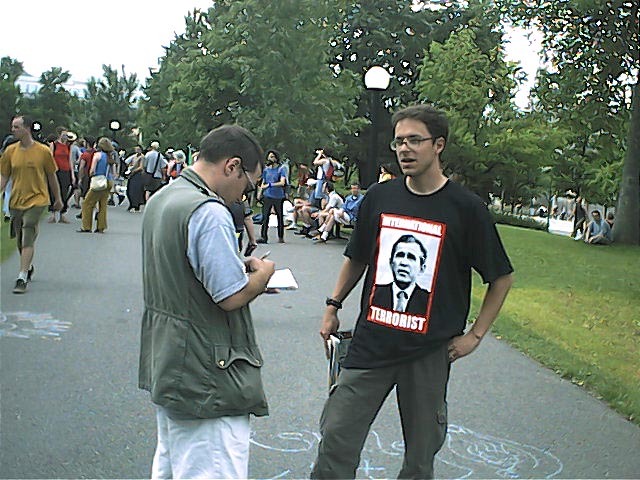 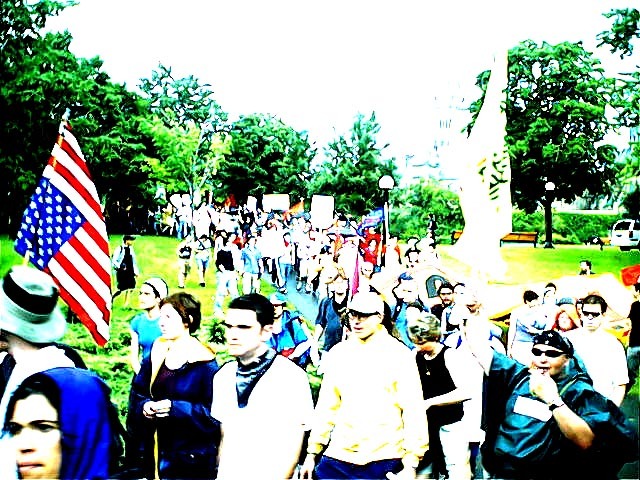 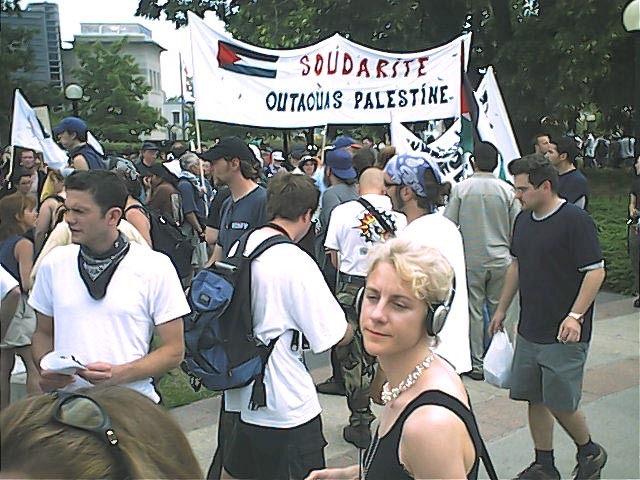 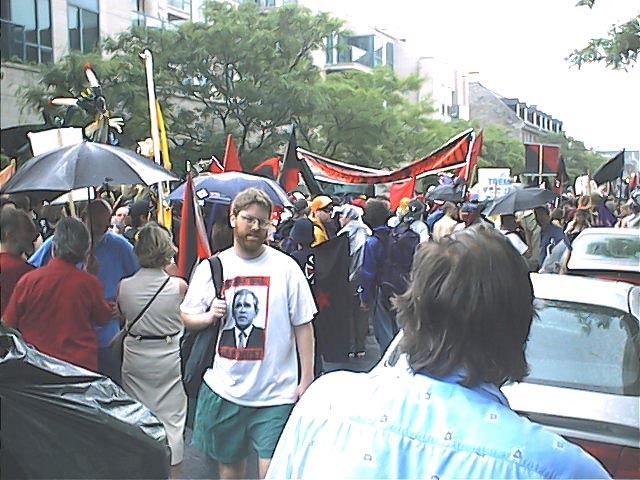 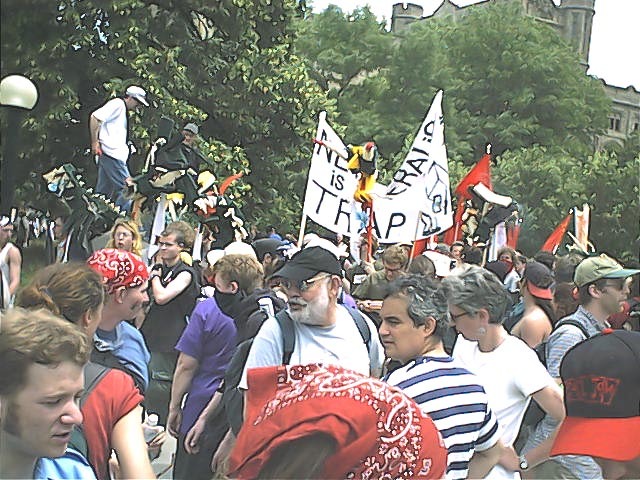 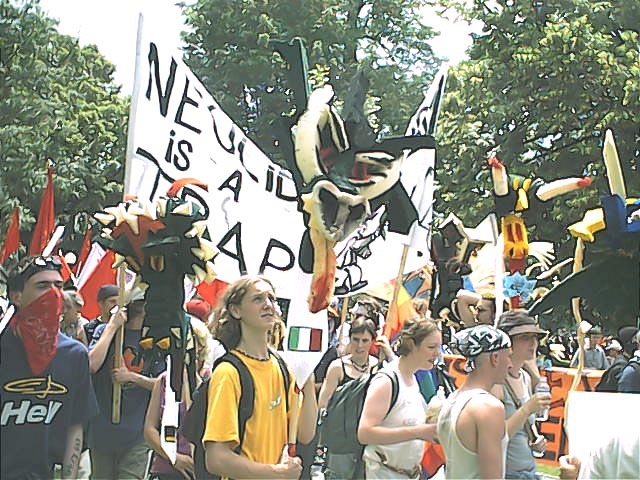 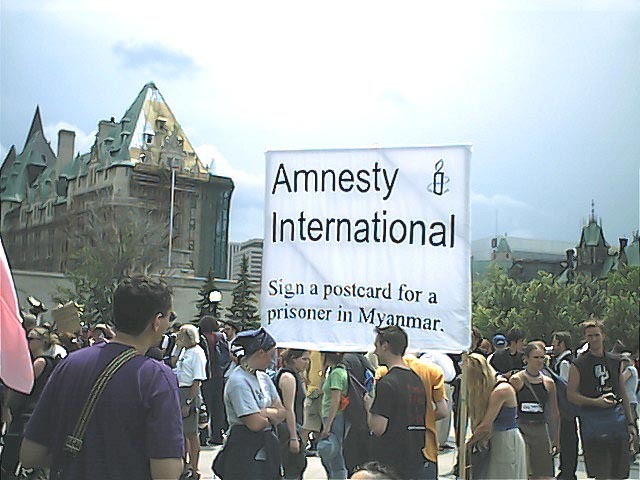 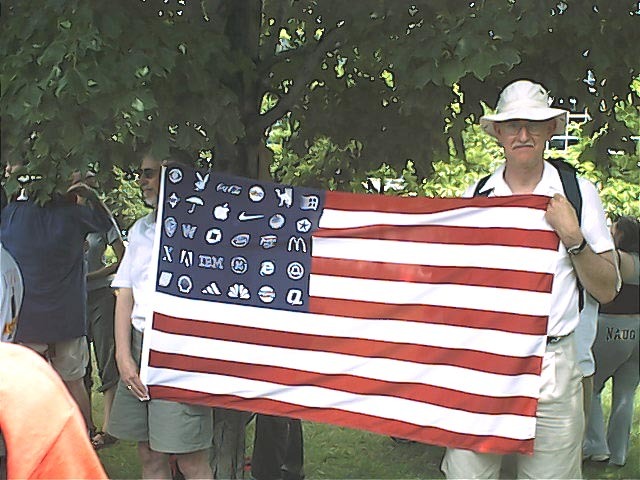 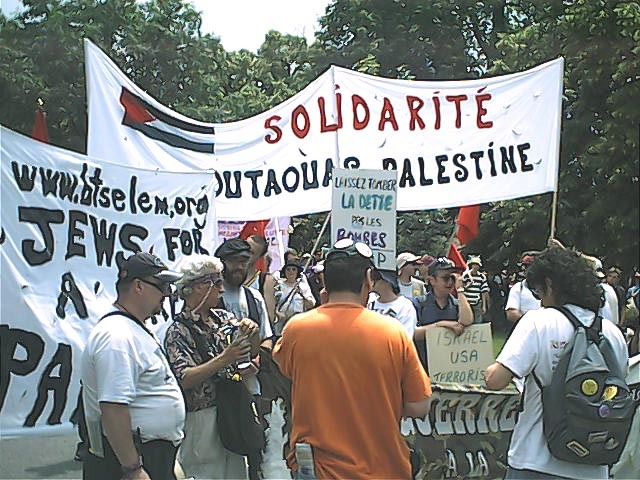 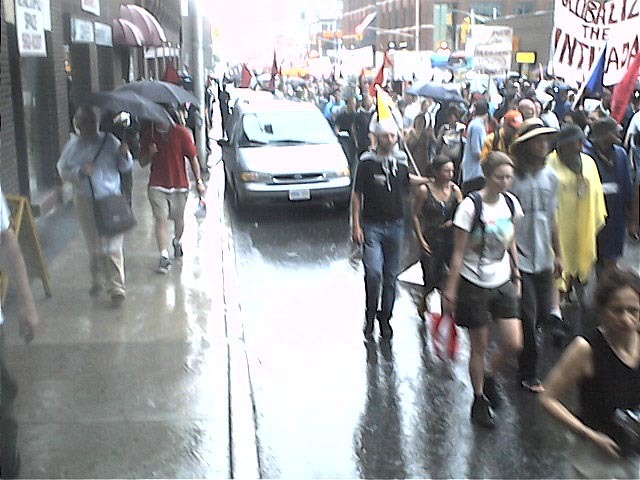 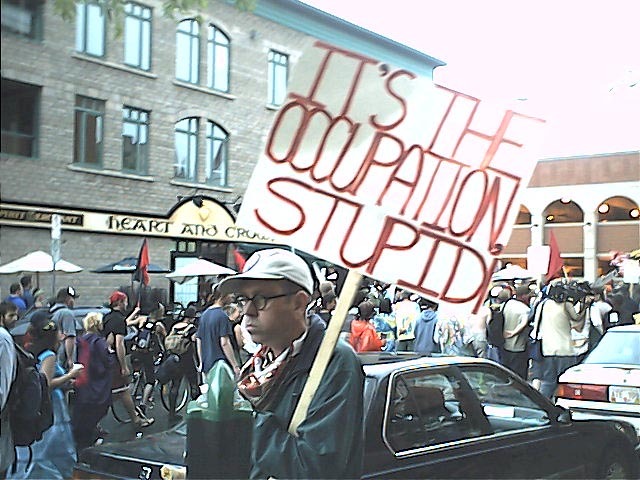 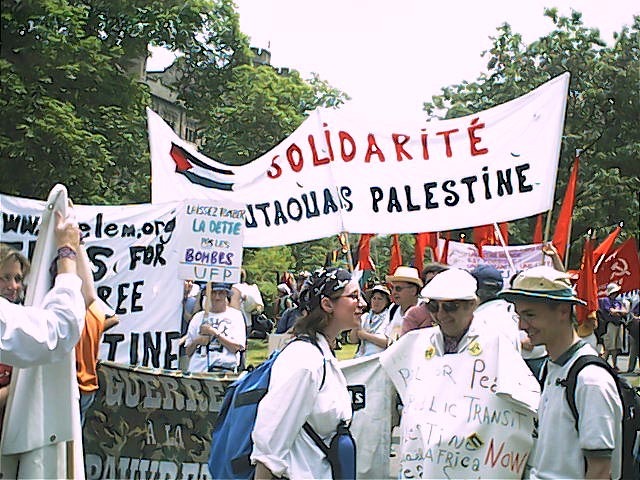 More than 7,000 anti G-8 have , have took the capital, Ottawa, on June 26,2002 and June 27,2002 to deliver many messages: George Bush is an international terrorist is just one. 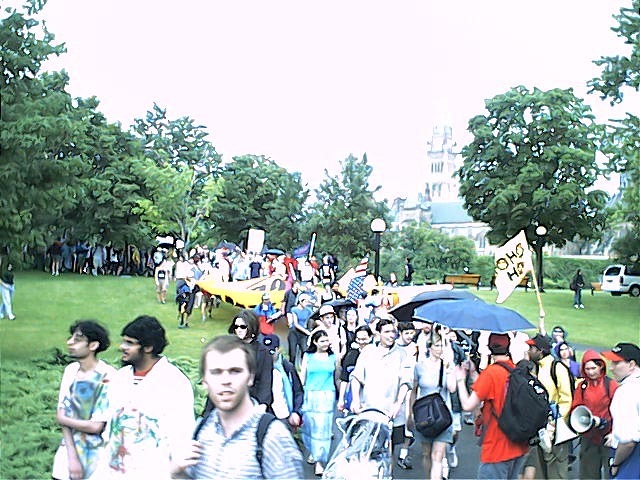 The protesters gathered at Majors Hill Park, across from the American Embassy and marched through the city of Ottawa for at least three hour. 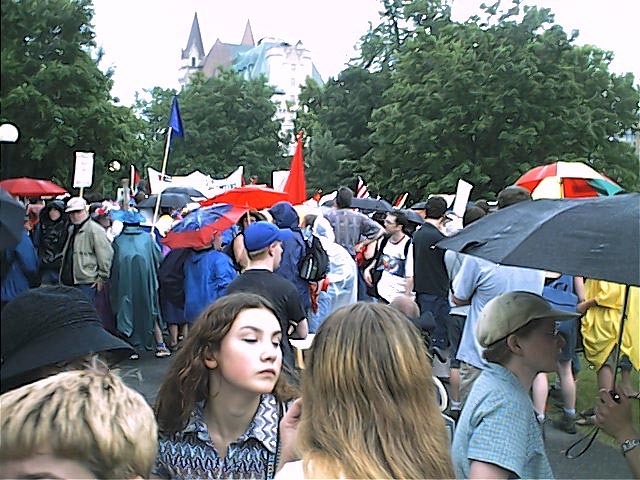 They have stopped at several locations including federal buildings such as National Defense and Supreme Court Of Canada. 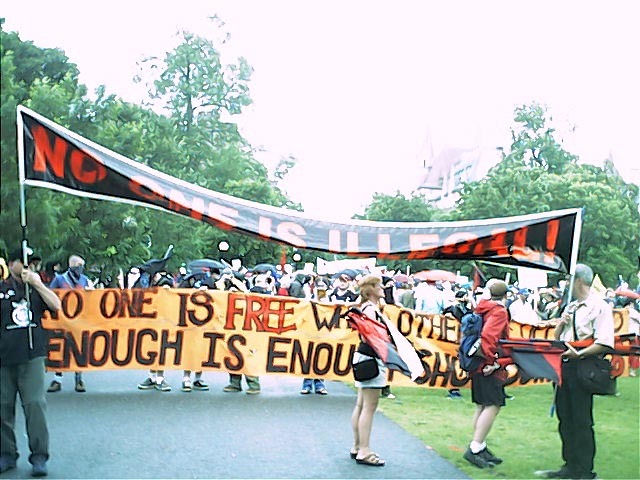 Through out the March several speakers delivered their sharp messages to G8 leaders. 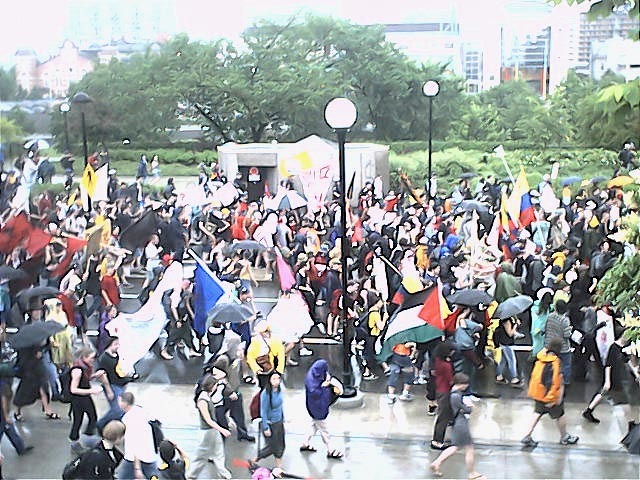 The verdict of the protest is that the G-8 leaders are the enemy of oppressed nations, poor or occupied countries, nature, justice and peace. 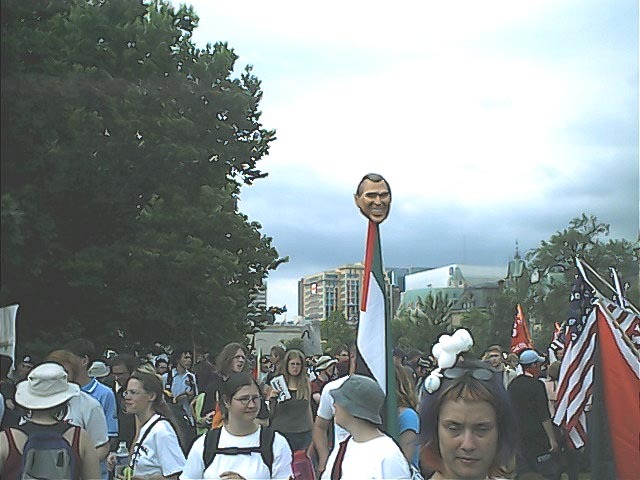 George Bush, in particular was the target. 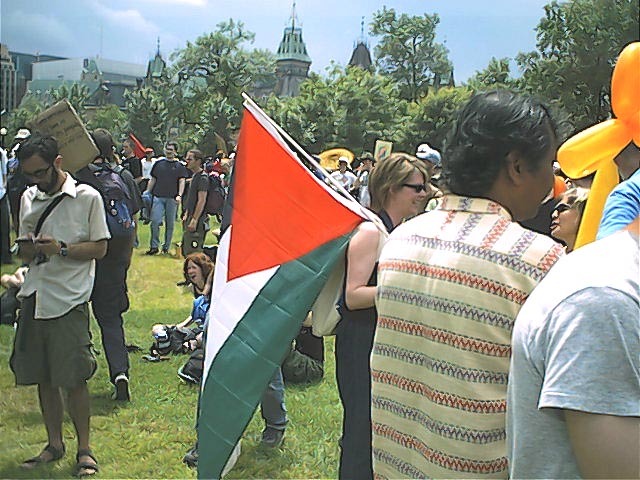 Strong sympathy to the Palestinian cause had a major impact during the full period of the march. 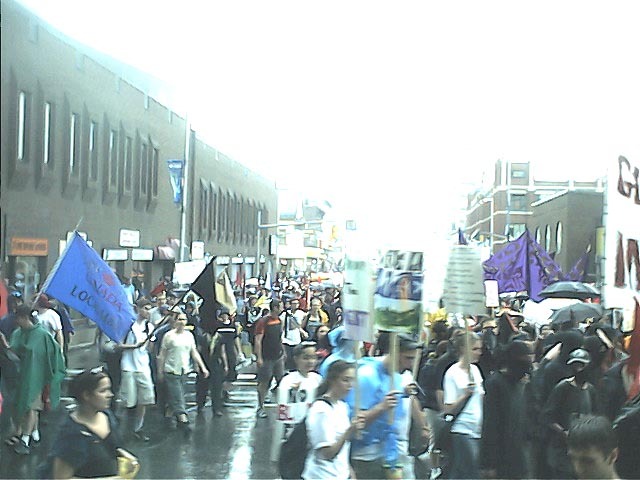 The protesters were successful in disrupting many government and city bodies for several days. 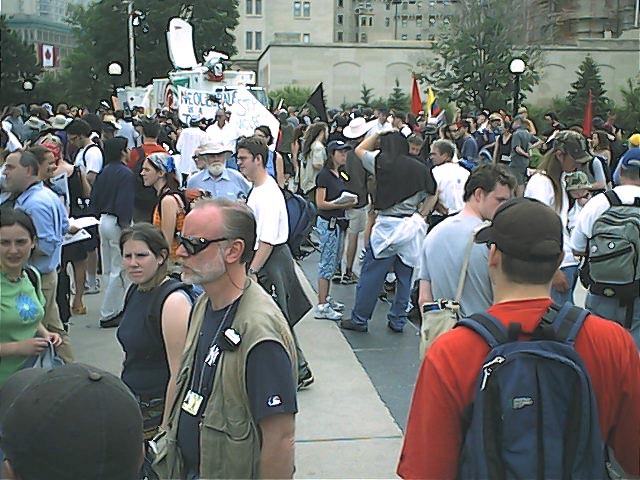 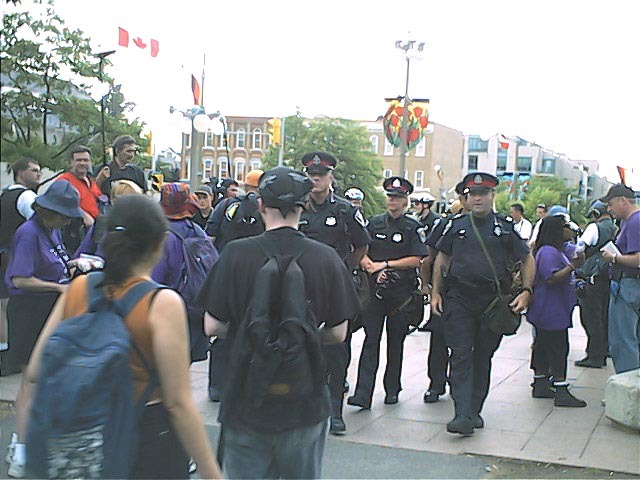 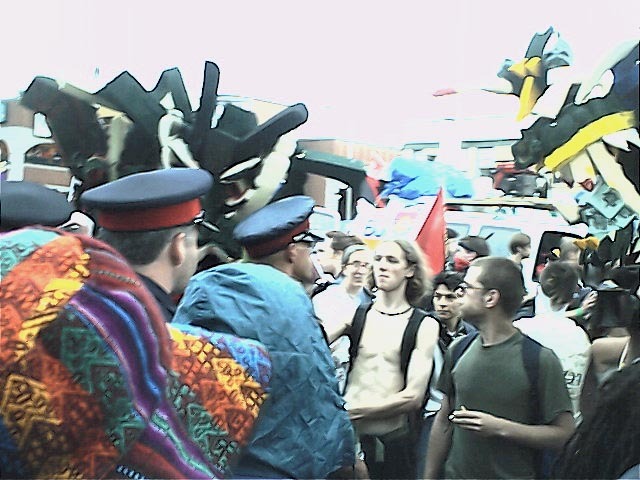 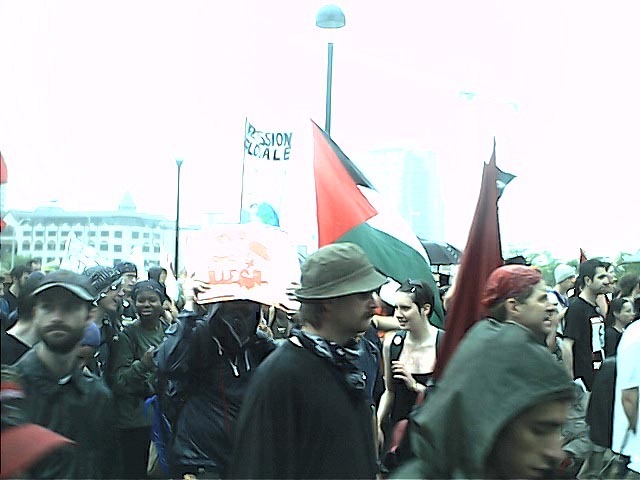 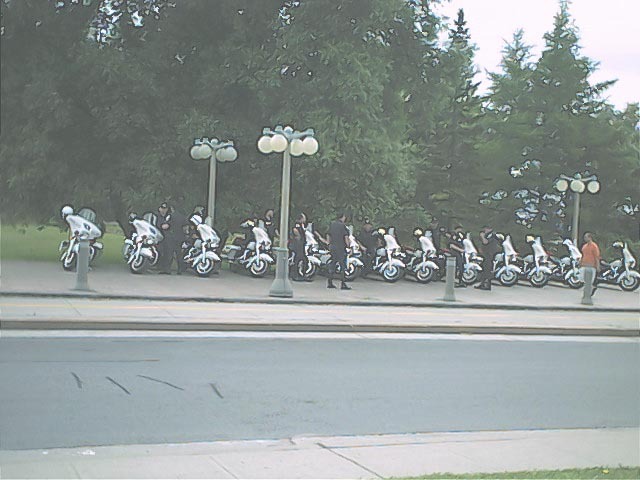 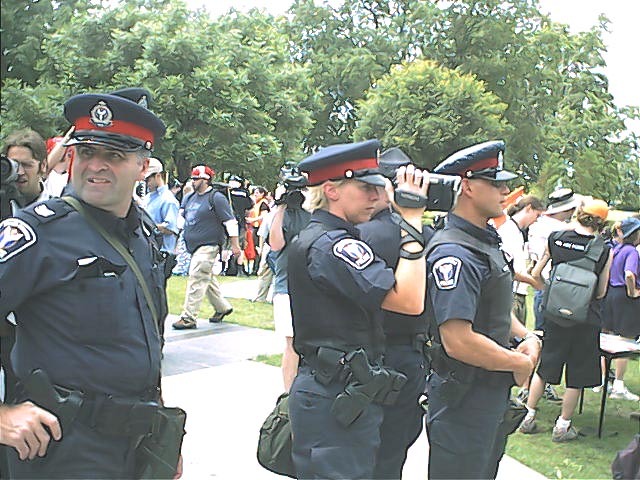 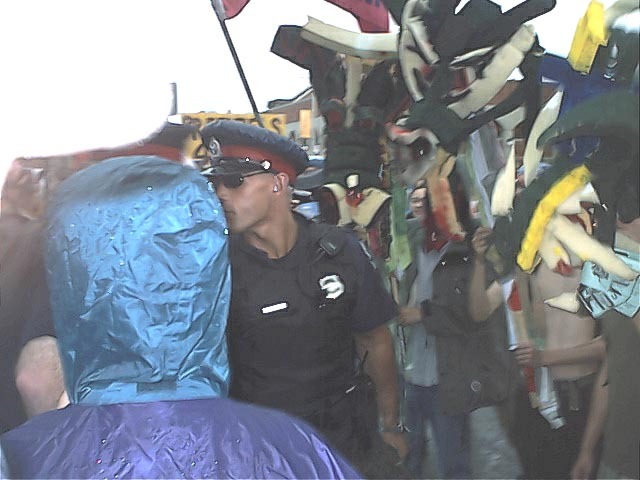 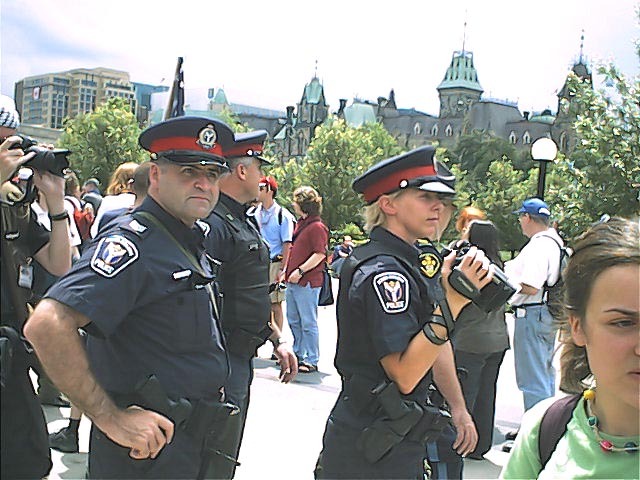 Police and demonstrators alike descended on the city of Ottawa from other provinces and other cities to meet the demands of such event. 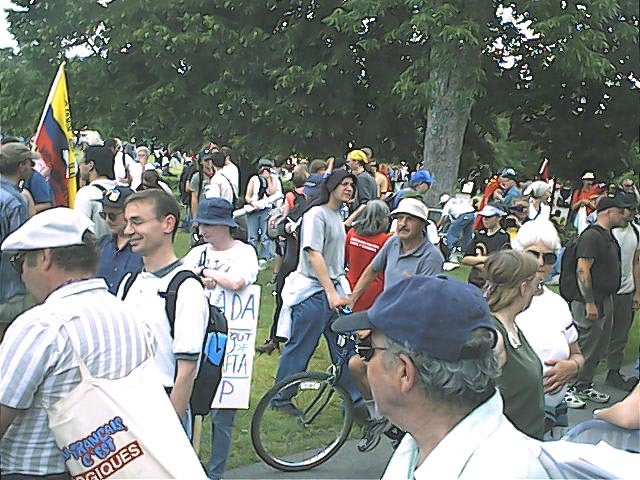 4data was there to cover event. 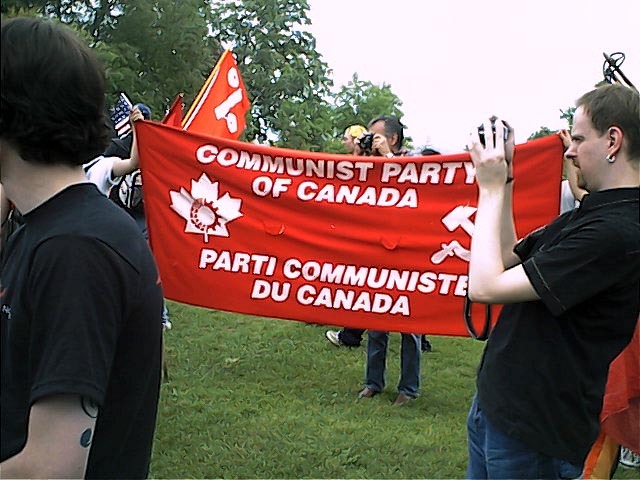 Communist Party Of Canada attended too.